Around 1.2 million visitors flocked to the docks of Sunderland as The Tall Ships Races 2018 sailed into town – and Go North East was on-hand to help those travelling to the event catch a glimpse, with specially dedicated bus services. 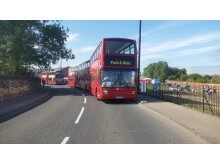 The region’s largest bus company supported the colourful five-day festival of culture, with 54 vehicles and 175 team members working across the event on dedicated park and ride and shuttle buses services alongside bolstered services on its Wearside routes. 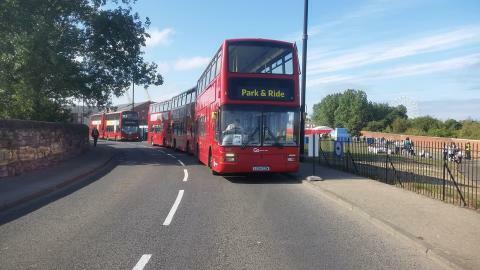 Travellers to the event were able to park up and jump on-board a bus from Deptford Terrace, Downhill, Herrington Country Park, Fulwell Quarry and Seaburn Camp. Passengers were also able to make bookings in advance for the services and use Go North East’s hassle-free contactless payments on-board. Barry Perryman, assistant service performance manager at Go North East who was leading the Tall Ships team, said: “This was a big event in Wearside’s calendar and our team all pulled together to make sure visitors could get there with ease. We had 54 vehicles transporting passengers to and from the event and over 175 team members working over the five days. A fleet of 55 tall ship vessels was welcomed into Sunderland Port for The Tall Ships Race 2018, where they sailed around the River Wear before embarking on the first leg of their spectacular race. They will be travelling over 300 miles to Esbjerg in Denmark, before calling at the city of Stavanger in Norway, finishing in Harlingen in the Netherlands. In total, they will cover more than 1,000 nautical miles over three weeks. Cllr John Kelly, Portfolio Holder for Communities and Culture at Sunderland City Council said: “We are delighted with the success of The Tall Ships Races, which showcased Sunderland at its best. It wouldn’t have been possible without the support of a huge number of individuals and organisations, all working together.